Samsung and Apple are taken as two best smartphone maker in this world. 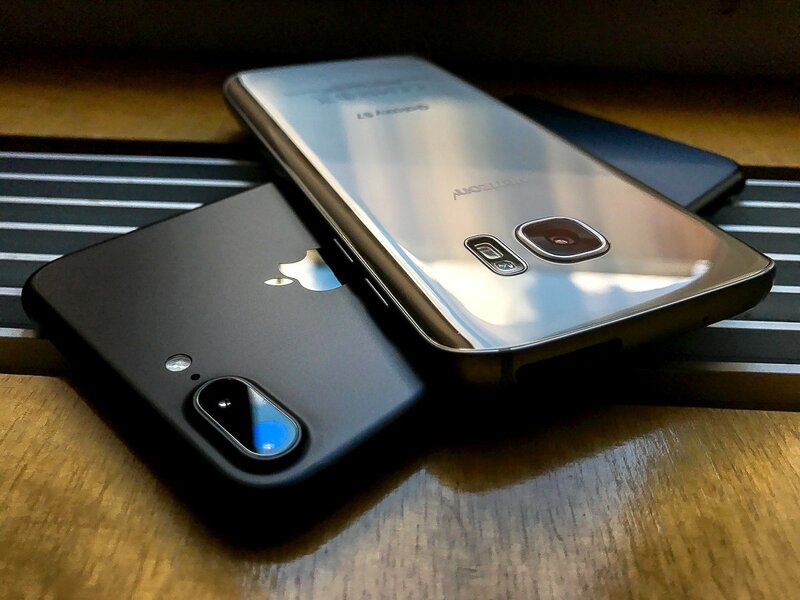 Last year we have seen some serious competition between Galaxy S7 Edge and iPhone 7 Plus. Samsung with Galaxy S7 & S7 edge has pretty decent specs and most probably the winner of 2016. But as we are now into 2017, its going to be tougher this time with Samsung Galaxy S8 and Apple iPhone 8 because both device are rumoured with spectacular specifications and features. Here with Samsung Galaxy S8 vs. Apple iPhone 8, we are going to compare both these devices on the basis of present data and reports. So, keep calm see what next this year. 1 What we have in 2016? What we have in 2016? Last year Samsung has launched its S7 series at MWC 2016 and came with lots of surprises. The Galaxy S7 series comes with 4GB RAM, Snapdragon 820 SoC and 32GB internal with features of Hybrid SIM slot. The 12MP f/1.7 aperture camera at the back of S7 is absolutely the trump card for Samsung. It offers amazing shooting features in low light as well. However if we take iPhone 7 it boast 2GB RAM powered by Apple A10 fusion chipset and pretty decent performance device. But last year Apple has also feel that camera is going to play really important role in 2016. That’s why they included dual-camera at the back of iPhone 7 Plus. If you come both S7 Edge and iPhone 7 Plus camera, we found even with f/1.8 aperture Apple has an upper hand over Samsung due to dual-lens and that’s where Apple comes out of the box. Meanwhile both the devices offers amazing design and stylish look, but if you are looking for high performance S7 Edge is the one to go with. Now let’s take a look on what we are going to see this year with Galaxy S8 and iPhone 8. As per the rumours Samsung will have similar design as we have with S7 Edge but with more Glossy and edgy look. We are also getting reports that Samsung may discard Home button from the front panel. It will have 8 GB of RAM and will run on Exynos 8895 which if ultra-fast Octa Core processor. It will have 16 MP f/1.7 aperture camera at the back and 8 MP front shooter. At the other hand, rumours suggests that Apple iPhone 8 will have All-Glass Sandwich design with stainless steel framed iPhone in between. Although there is not much to speak as iPhone 7 plus is just out few month ago and company hasn’t made any statement till now. But, still on the basis of present reports its going to have 4GB RAM and will run on Apple A11 processor. The next iPhone will be powered by iOS 12 and will 3000 mAh battery. Talking about camera specs, its going to features same camera features as we have with iPhone 7 plus. We all know these brand are pretty costly when it comes to flagship phones and most of the time it doesn’t matter a lot. Samsung is going to be first one to come this year and it can cost you around $800 for S8 and $899 USD for S8 Edge. However iPhone can be costlier with ranging from $1000 to $1200 USD depending on the 64/128/256 GB storage variants. Concluding the best out of Galaxy S8 vs. iPhone 8 is will be an unfair deal. So, let give them some time as Samsung is going to launch Galaxy S8 soon in April and for Apple we can IFA 2017. For more updates and comparisons stay tuned with us. You can share your view on these devices by commenting below. And before leaving make sure like and share us on social media from below buttons. Thanks, Toni for your comment. 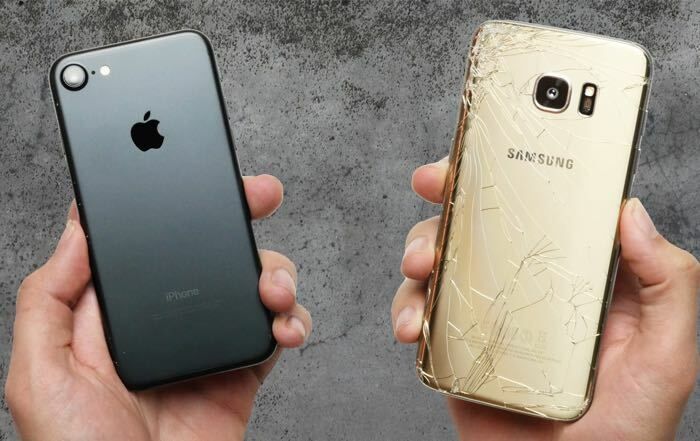 We think when it comes to performance Samsung always has an upper hand over iPhone’s. The Upcoming S8 and Galaxy S8 Plus variant will feature 8 GB RAM whereas we know Apple is not going to get anything more than 4gigs. With new Exynos powerful processor and Android Naught we are sure that Samsung will be the kind of 2017. The London fairly used are quite affordable.. Gracias! If the s8 has 8g ram to handle a large capacity storage for the apps I put on the phone and all the other quirks, voice, upgrade sms, camera, scanner, virus proof, processor with power, etc. Then the note 8 vs s8 will give the others a run for the money. The phones are good quality phones but they are not affordable at all… Its as if good quality phones are made for the elites … But in any case,they are quite spectacular.